I have been salad crazed lately. Starting as early as 10am, I will begin day dreaming about the different flavors and ingredients that I can mix and match for the perfect summer salad. There is something about the warm weather that makes me crave a meal that is bright, light, and full of flavor. For lunch I will frequent the Oliver's Market (similar to a Whole Foods, but locally owned) salad bar and create delicious summer salads that just as fun to create as they are to eat. Below I have listed my three favorites, so that you can recreate them too! Pro tip: print out this post so that you can take it with you to the salad bar! 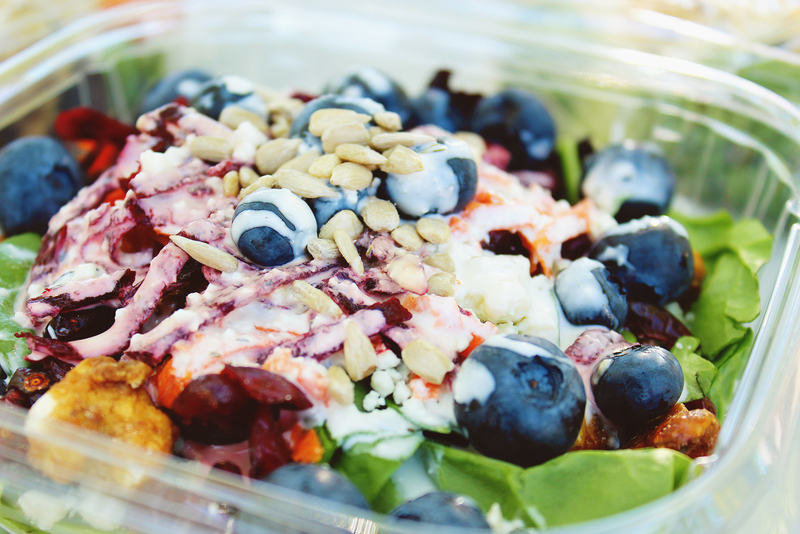 All of the salads listed here are my favorites; however this one is by far the most stunning. With blueberries, beets, dried cranberries, and bright orange carrots, this is a jewel of a salad. Caesar salad is one of those menu items that I often overlook. To me they always seemed so plain that I would usually reach for something much fancier. A friend mine however, has recently shown me the error of my ways. Caesar salads are delightful. 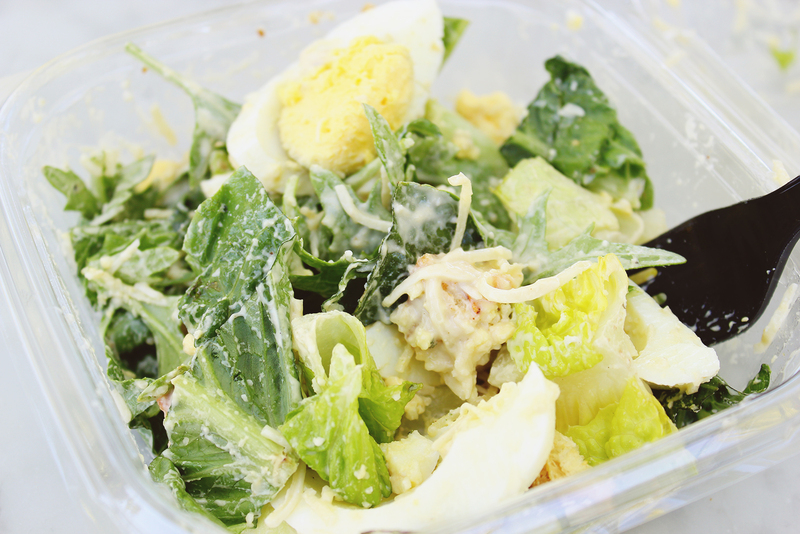 I've opted to amp mine up with slices of hard boiled egg, and Oliver's Market offers a vegan Caesar dressing which I use. This salad is so full of flavor! It is more earthy in flavor, with a Mediterranean flare. made with green onions, feta cheese, and artichoke hearts, you will quickly see why this is a favorite of mine. With the sneaky addition of tofu, this salad bar salad is packed with protein and fiber, it will keep you full until dinner. Are you excited to try these? 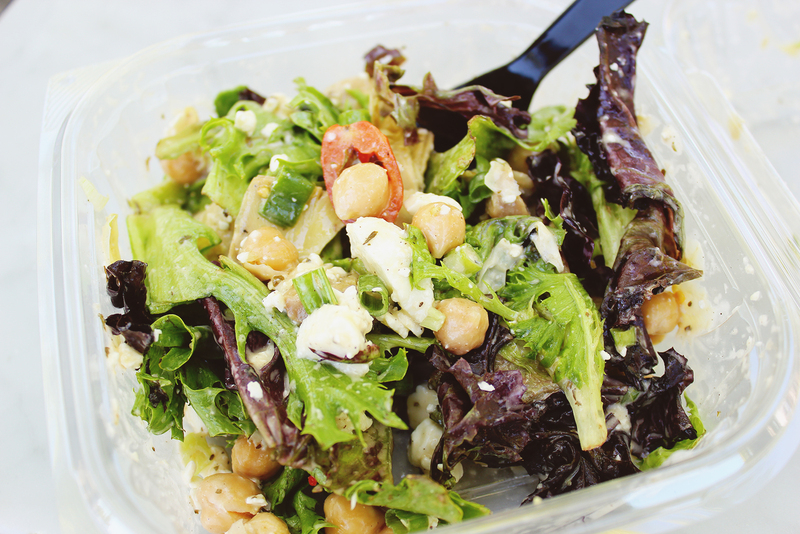 These salad bar lunch salads will keep you full, and the recipes will help you to get creative! I know that it can be easy to become overwhelmed by all the options at the salad buffet, but with a little help you can create something new and delicious with every visit. If you give these a try be sure to let me know what you think. Happy eating!